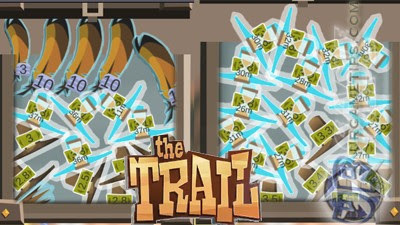 Here's the 2nd part of our quick walkthrough guide and tips for beginners playing "The Trail" (Android and iOS mobile game). - I recommend that you follow the 1st part of our guide first for other tips that I will no longer mention here. 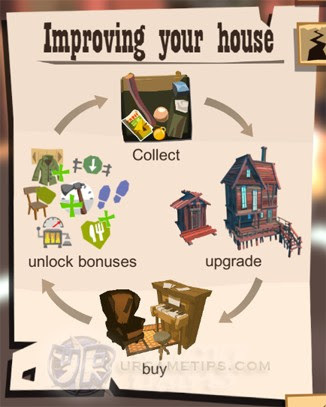 Part 1 will also cover house upgrades and recommended furnitures to buy. 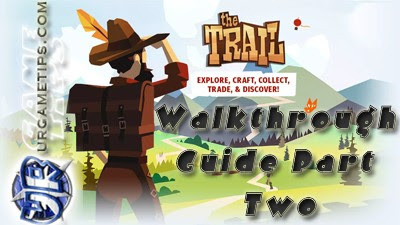 - End of Part 2 Quick Walkthrough Guide Quest List. 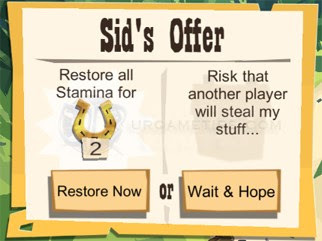 - Try to upgrade your House to Lvl 4 first and purchase some recommended furnitues with at least 1 Luxury Bed before reaching the Buffalo Range Region. - Refer to the "Farming Chits" section above to help you decide which method is best and where to farm them. - From here on, start hoarding the following items and keep them in your Private Chests. Just collect what you encounter along the way, and from trades. No need for hard farming. - Materials used for crafting Cookies later on (2x Wheat Grass and 1x Apple). - Materials used for crafting Jerky later on (2x Rock Salt and 1x Raw Meat). - If you need more Chits for your ferry fare, just refer to the "Farming Chits" section above. - Once you reach this region (Summer Base camp site), you'll start to encounter more Turkey Feathers. Grab them all and keep them into your Private Chest until you are able to craft Pilgrim Hats. - Crafting these hats will be your main source of Chits as you go on through the mid game. So keep gathering them while trailing, and buy every Turkey Feather that you see while trading. - Yes, because as you go farther, Stamina drain will get a little bit trickier, especially for longer trails. Preferably, gather food items that can restore at least 2 Hearts and can fit into your pockets. - Restores 2 Hearts of Stamina: Cookies, Grilled Mushrooms and Mushroom Soup. - Restores 3 Hearts of Stamina: Bread and Jerky. - Note: If you can't craft them yet, buy them! Yes, from here onwards, start purchasing food while trading (especially Jerky), and stack them all into your Private Chests. If you do this now, the next regions would become much easier. - You can still survive Buffalo Range region by saving up Berries, Mushrooms, and Sweet Chestnuts along the way, but still keep some higher tier food into your pockets just in case. - Equip higher tier of gears to increase your survivability (craft or buy from traders). 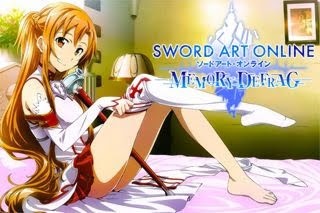 - From here on, keep your Stamina to at least 4 or 5 Hearts. - Once you reach this region, learn these recipes and start crafting Cookies and Jerky. - If you followed my advice above (Sequoia Glen Region - Eden Falls), you should now have enough crafting materials for food. - Still continue and collect Wheat Grass, Apples, Raw Meat, and Rock Salt (no need to farm). - I didn't recommend crafting Bread because it requires 4 Wheat Grasses, and it will only restore 3 Hearts. Buy them from other traders instead. - Grilled Mushrooms are also ok to craft, as long that you have some Mushrooms and Birch Sticks in your bag (no need to farm). IMPORTANT TIP: Weight Also Affects Stamina Drain! - Well, it can't be helped since you need to collect things while trailing, but their is an important factor why your Stamina is draining way too fast than before = Weight of Food! - Yes, to greatly reduce the weight you are carrying, STOP placing 10x Bread and/or 10x Jerky in ALL of your pockets or bag (10x Bread = 30 Weight; and 10x Jerky/Cookie = 20 Weight). - Limit Food Weight to around 30 for now, this should be more than enough. Let your extras stay in your Private Chests. - TIP: If your character fainted, do not accept any notification (even that check mark), instead, just open your bag and use your Food until all Hearts are full or at least almost full. If successful, your character will get up and no items will drop. - Just continue whenever you can. - Once you are here or about to reach the end of this region (Growing Camp > Green Meadows), you should have completed all quests above. - The next set of quests will cover beyond the Swamp.